The Blue Sky Chauffeur hire service looks forward to handling your Airport pickup or Drop Off, whether it is at a corporate level, individual, group or any special occasion. Blue Sky Super Cars promises to always serve your needs with courtesy, respect and consideration and of course full confidentiality and privacy. Our uniformed drivers will provide you with reliable, timely and personalized door-to-door service 24 hours a day. Even if you have a last-minute changes we can handle that too, because you speak directly to our co-coordinator and not an answering service. Perfect for groups of golf players visiting Costa del Gol Also with a large luggage trunk for golf bags etc. Transfer Price Malaga Airport to Marbella – 195€ only. Blue Sky specializes in executive ground transportation service. 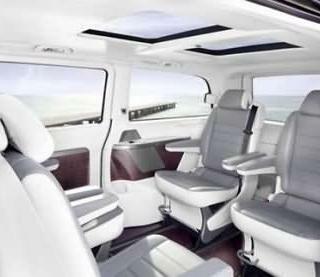 We have developed the concept of privately chauffeured sedan service in the city of Madrid, now the preferred method of transportation for travelers worldwide. Corporate Limousine ServicesWe are proficient at managing every type of reservation and can dispatch our fleet to every business and recreational event on the Costa del Sol, from road shows and conventions to tours around Marbella and out of province excursions. We literally follow our clients’ itineraries when we are at his service. Always a smooth ride in any of our vehicles, we present clients with a vital period in which to focus on work or a moment of relaxation. We provide an atmosphere of unmatched comfort, safety, and tranquility each time, every time. We are able to handle all your business requirements whether it’s picking up a very important business associate or for an office party for your business organization. Whether you need a car every day or just once a month, please call us to find out how we can assist you or your business. Show up in style to the cocktail or dinner party in an elegant sedan or the vehicle of your choice and make heads turn. 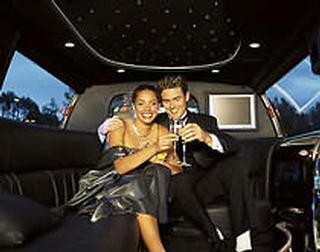 We can enhance that special night in by providing a chauffeured sedan or any other vehicle you wish giving you the peace of mind, knowing that your guests or perhaps even your children don’t have to drive, and will be transported to and from this special occasion by one of our professional chauffeurs. Our professional chauffeurs can pick you up before the event, chauffeur you to a fabulous Puerto Banus restaurant, make as many stops as you like around The Port before taking you on to your final destination and be ready to pick you up in your comfortable sedan when the evening is over. Have a care free, no hassle evening and arrive to and from your destinations in safety, luxury and comfort in your chosen vehicle from our fleet. Add a touch of class to your next get together in Marbella, Malaga or anywhere on the Costa del Sol with the Blue Sky Chauffeured service. Whether it’s a trip into Puerto Banus for dinner and a drink, Discoteque hopping or just simply a family outing, our Chauffeur service always makes it special. What a perfect way to see one of the most exciting areas in Europe in one of our many luxurious cars. There’s just too much to see in Marbella to trouble with searching for your destination or trying to find parking. 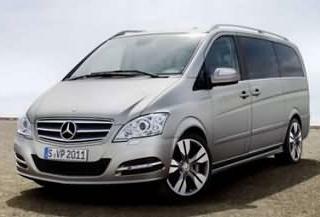 Blue Sky Luxury Car Hire has highly knowledgeable staff who will take all these worries away. You will have one of their professional chauffeur’s help you do just that, with our Marbella coastline tour, avoiding entirely the headaches of traffic, parking, and figuring out how to get around. Please contact us at our offices in Marbella with your request and we will be willing to help.